Knock-off MyEtherWallet app soared to top of the store's charts before being taken down. 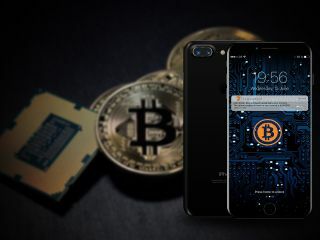 Growing public interest in bitcoin and other popular cyrptocurrencies has helped push a fake wallet app to the top of the Finance section in Apple's App Store. The app in question, MyEtherWallet, is nothing more than a cheap paid knock-off of the popular cryptocurrency management service MyEtherWallet.com that allows users to create a crypto wallet with a shareable public address and a private key that only grants the owner access. The service currently does not have its own mobile app and runs primarily as a mobile-friendly web service. The creator of the MyEtherWallet app, Nam Le took advantage of this and used the service's name to create his own paid app with the same name. While MyEtherWallet.com is free for its users, those unfortunate enough to be tricked into downloading the fake app paid £4.99 for it over the weekend when it rose to the top of the Finance section in Apple's App Store. Apple has since removed the fake app from its store but due to the popularity of cryptocurrencies it is likely that a similar situation could occur in the future on either the App Store or the Google Play Store.